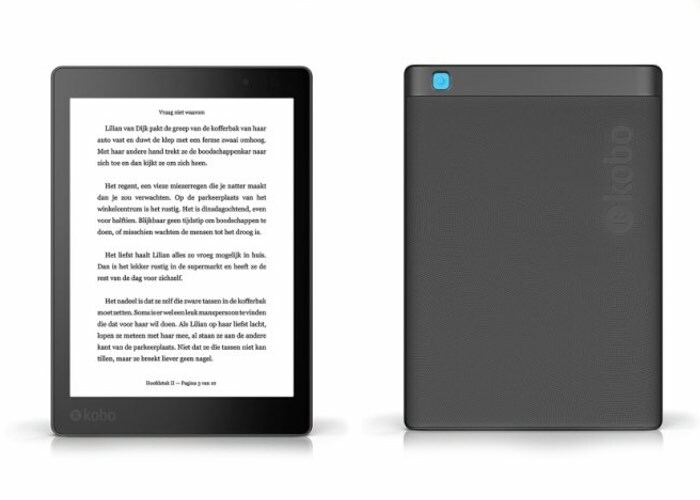 It has been revealed this week that Kobo has created a new eReader which will soon be launching in the form of a 7.8 inch Kobo Aura ONE eReader. The device will be equipped with a high-resolution display and has been specifically created to compete with the likes of Amazon’s Kindle Voyage and Kindle Oasis. The Kobo Aura ONE eReader has been spotted making its way through the FCC and although Kobo hasn’t officially announced the device its appearance at the FCC indicates that the eReader will be available to purchase throughout the US very soon. The Aura ONE has been designed to provide users with a premium eReader experience and comes equipped with a waterproof case together with a 1872 x 1404 pixel illuminated Cara E Ink touchscreen display with 300 pixels per inch. Other features of the Aura ONE include support for 802.11b/g/n wireless connectivity, and the eReader comes equipped with 8GB of internal storage with 512MB of RAM. Unfortunately no information on pricing or worldwide availability for the Kobo Aura ONE has been released as yet by Kobo, but as soon as information comes to light we will keep you updated as always.